Today’s post is going to cover an area in Geneva known as Bel-Air. I know I got you all excited by my recently celebrity post, but I hate to inform you that Will Smith does not live in our Bel-Air. Bel-Air is an area in the centre ville that serves as a major hub for the TPG transportation system. It actually even has two stations, regular Bel-Air and Bel-Air Cité. It was recently made an even larger hub and there are a lot of folks who are angry about how the new system works. For more on this, and why it might not have been smart to build a hub on a bridge, see Schwingen in Switzerland. 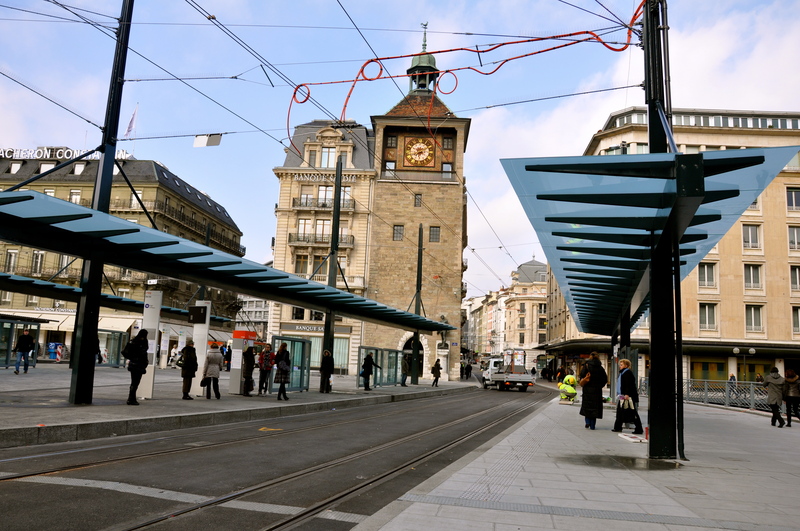 However, before this bridge / island was a highly debated tram stop, was actually part of the Geneva fortifications. On the map we introduced on Tuesday’s Old Town post, you can see an island in the middle of the two banks. This is Tour d’île / Bel Air. 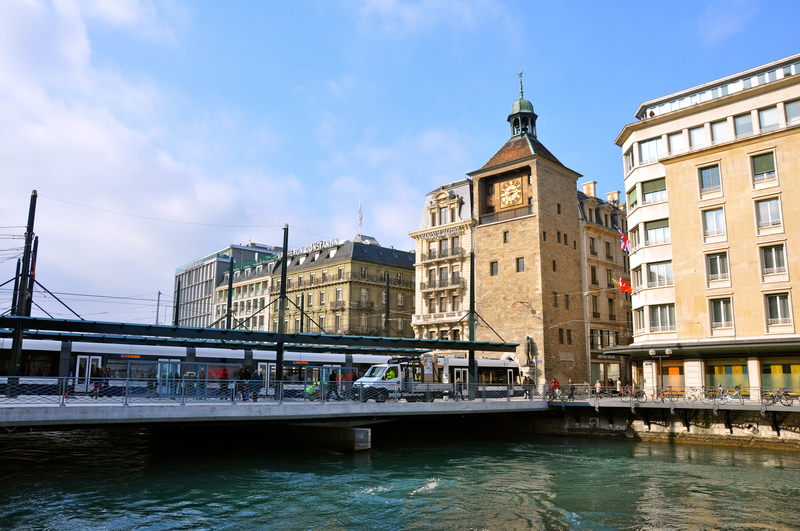 This island/bridge is one of the reasons why Geneva was so coveted. This bridge was the only route over the Rhone in olden times. In 58 BC, Julius Caesar actually made the trip to Geneva to destroy the bridge so that the Helvetians couldn’t advance. Later, in the 13th Century, it had been rebuilt and there was a chateau / castle built to help in the defense against the Duchy of Savoy and protect this crucial passageway to France. During this time, the island also became a market. Butchers built their shops so the blood could run directly into the Rhone. During Reformation times, the chateau was converted into a prison. After surviving multiple fires, the bridge finally burned down in 1677. Only the clock tower (seen in the top photos) survived. My french professor at UNIGE said that the reason it is called Bel Air as when everything burned down, the air smelled a lot better since there was no longer a rotting meat stench. I’m glad as I spend a lot of time there connecting trams these days. 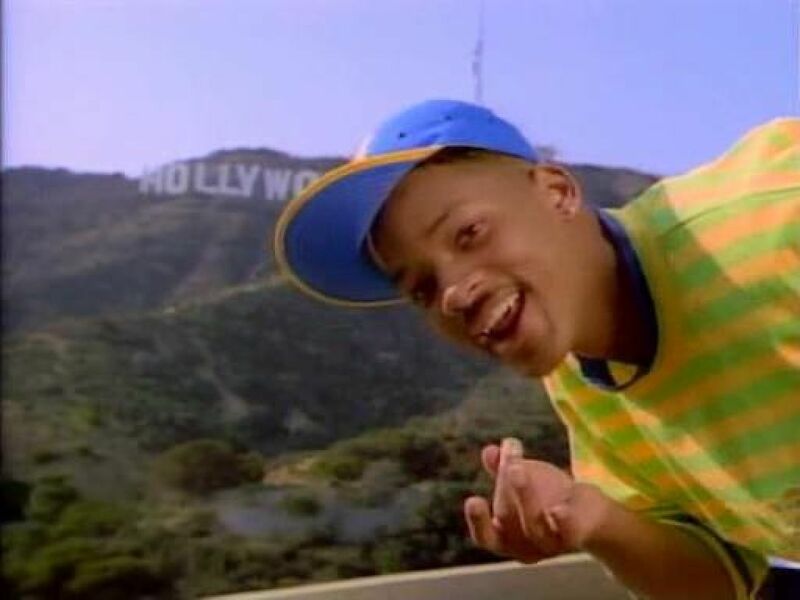 With or without a fresh prince, now you know a little bit more about our Bel-Air. This entry was posted in Life in Geneva, Swiss History & Politics, Transportation, Visits & Trips with Visitors. Bookmark the permalink.